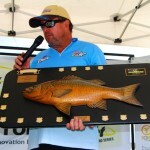 Hunter Valley’s Lake Glenbawn is the battle ground for the biggest event on the ABT BASS Pro calendar, with this weekend’s Toray BASS Pro Grand Final (24/25th October) set to crown two new Grand Final champions, and send the champion boater stateside to fish with Australia’s first ever Elite Series angler Carl Jocumsen. The pinnacle event of a four event qualifying series that saw Lake St Clair, Glenbawn, Somerset and Bjelke Petersen Dam as the testing grounds and pathway to the Grand Final, this year’s final takes place a month later than it is traditionally run, a move made to take advantage of Lake Glenbawn’s outstanding spring edge bite. 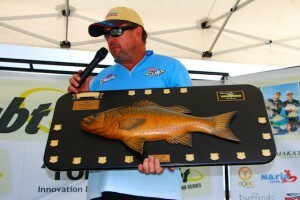 “The bottom line is that a lot of anglers are going to find and catch good fish during the event. Glenbawn’s spring bite provides a unique opportunity, especially in regards to a spinnerbait bite, as the fish are aggressive and strike accordingly. Expect tears of happiness, joy and for some the one that got away variety”, explained Fogarty. When it comes to picking who’s going to feature as the front runners in the event the list of contenders is long and littered with talent. 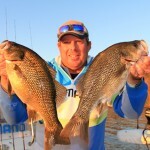 If you had to put one name at the top of the list it would be hard to go past defending champion Steve “Killer” Kanowski, an angler who has made it a habit of winning in recent years, and habit of winning on a variety of different lakes. 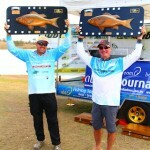 “The grand final always brings the best out of the anglers. The opportunity to fish Glenbawn at a time of the year when we’re not usually here is one that I find very exciting. I’m can’t wait to see what we’re going to get”, explained Kanowski. 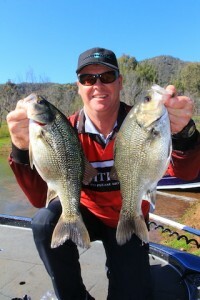 When it comes to home water favourites it’s hard to go past two names, Peter Phelps and Alan McNamara. While Phelps has a rich history of success on Lake Glenbawn over many years it’s Alan McNamara who’s the local gun on fire, with victory in the July’s OSP Lake Glenbawn BASS Pro. fishing. However the bite at Glenbawn Dam is conditional on the weather, and can change very quickly. The angler who can adapt the quickest can immediately put themselves in contention ”, explained Phelps. 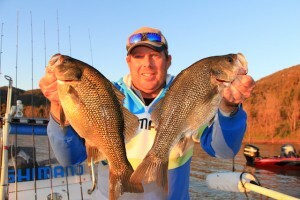 Alan McNamara shares his thoughts, “It is a very different bite to when we came here in July. The bite is a reaction bite so spinnerbaits, chatterbaits and jackalls all come into their own. 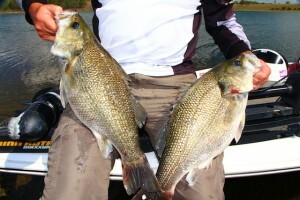 Also there is a greater number of smaller fish aggressively hitting the lures. The larger fish are also there, but it will be a case of working through the others and hoping the big fish chooses your lure”. 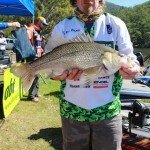 Momentum certainly accounts for a lot in tournament angling and the man with perhaps with most at the moment is 2015 Power-Pole BASS Pro Angler of the Year Warren Carter. 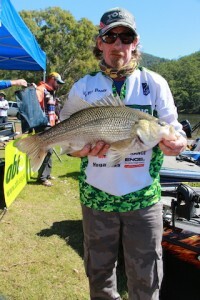 An angler who excels at finesse bassing, the question is how will Carter adapt to power fishing techniques if the expected edge bite dominates the event. “While I haven’t had a lot of experience throwing reaction lures like spinnerbaits and lipless crankbaits I’m focusing on my strengths and that’s finding fish, especially when the fishing gets tough”, explained Warren. 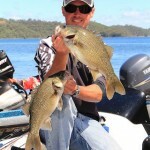 If the reaction bite on the edge does feature one angler to watch out for is gun spinnerbait fisherman Paul Gillespie. An angler who loves nothing more than power fishing a spinnerbait out from the fringes Gillespie is primed for another podium finish to go with his second place from May’s Spotters Lake Somerset BASS Pro. stable I think it will be an exciting few days for all competitors”. While an edge bite is definitely on the cards, the need for a finesse approach rather than all out power and aggression may be what’s needed to catch the winning fish, especially as the tournament progresses and the bass become more pressured. If it plays out this way an angler to watch out for his former Glenbawn Megabucks winner Anthony Thorpe. A skilled angler when it comes to fishing finesse presentations on the edge, Thorpe is chomping at the bit to see what Glenbawn has to offer come Friday’s prefish. 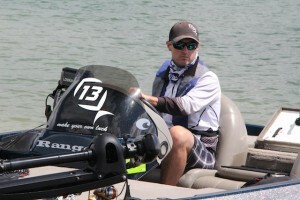 “I prefished the lake a few times in the lead-in to the event and each time the bite was different and the fish where in different locations. The prefish will all be about pinning down where the fish are and what they want to eat, and most importantly working out where those bigger bites will come from”, explained Thorpe. 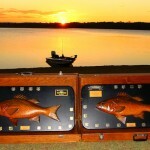 The Toray BASS Pro Grand Final get’s underway 6.30am this Saturday at Lake Glenbawn with regular Facebook updates throughout the day, and images and results uploaded onto www.abt.org.au. 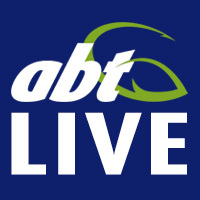 The final session weigh-in will also be livestream on www.abt.org.au.